JEANNE S. (KOIKE) OKUTANI 74, died peacefully on January 6, 2019. Born and raised in Waialua, Hawaii, she was the oldest child of William and Hatsuko Koike. 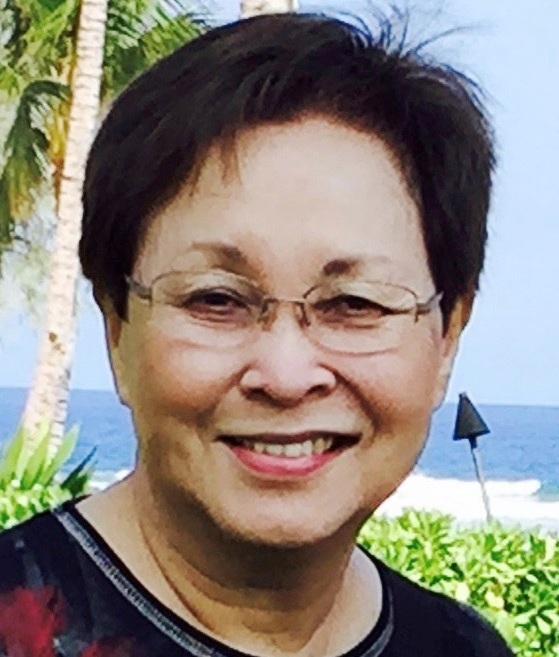 Jeanne attended Waialua Elementary & Intermediate Schools and was a proud graduate of Mid-Pacific Institute. Upon graduation from the University of Hawaii, she was employed by the State of Hawaii. After thirty years of service, Jeanne retired from the State's Hawaii Housing Authority with fond memories and treasured friendships. During her retirement, Jeanne joined Curves, water exercise and walking groups, continued her volunteer work at Mid-Pacific, completed crossword puzzles, and spent time with her many circles of friends. Semi-annual or quarterly trips to Las Vegas were a must. She was a very avid video poker player winning many royal flushes during her lifetime. Jeanne took after her mother by making delicious dishes and desserts that satiated tummies and gave comfort to everyone. Jeanne is survived by husband Peter Okutani; son Craig (Stacy) Okutani, and daughter Kris (Patrick) Kobayashi; grandchildren: Kourtney Okutani, Adam and Alex Kobayashi, step-granddaughter Kyleigh Amii. Jeanne's brothers Gerald and Donald Koike, and parents William and Hatsuko Koike preceded her in death. Jeanne's Celebration of Life will be held on Sunday, February 17 at Mid-Pacific Institute's Bakken Auditorium 2445 Ka'ala Street, Manoa Visitation: 3:00 p.m.; Service: 4:00 p.m.